An increasing number of studies have shown that the ketogenic diet works wonders for shedding body fat, increasing energy, keeping appetite regulated, and even improving heart health. But because carbs are drastically reduced on this diet, it’s not uncommon for keto dieters to have issues when it comes to bowel movements. After all, this diet is virtually void of the fruits and grains that provide the body with the fiber needed to help things along in the bathroom. The good news is that there are fiber supplements that can be added to the keto diet. These supplements provide the body with the fiber it needs without added sugars that fiber-rich fruits come with. The key is to find fiber supplements that aren’t loaded with sugar or carbs, which would otherwise throw anyone off of ketosis. Fiber is important for many reasons, which is why it’s important to get as much fiber in your diet from fiber-rich foods. While these foods are certainly healthy and loaded in vitamins and minerals, not all of them are appropriate for the ketogenic lifestyle because of their high carb content. You might get your fill of fiber, but you’ll also get your fill of carbs too, which can throw you out of ketosis. Instead, you may want to consider supplementing with fiber powder to help you top up your fiber stores without compromising your efforts to maintain a state of ketosis. Fiber is an essential part of the diet and is required for optimal health. In addition to normalizing bowel functions, fiber also plays a role in lowering cholesterol levels, controlling blood sugar levels, and helping to maintain a healthy body weight. If you can’t get your fiber from your diet, fiber supplements may be able to help fill the void. While it’s best to get your daily fiber from the foods you eat – as mentioned above – sometimes you could use a little help in the form of fiber supplements. When it comes to maintaining a ketogenic lifestyle, a keto-friendly fiber supplement can be a great way to get your recommended daily fiber while still maintaining a state of ketosis. The key is choosing one of these best fiber supplements for the keto diet. 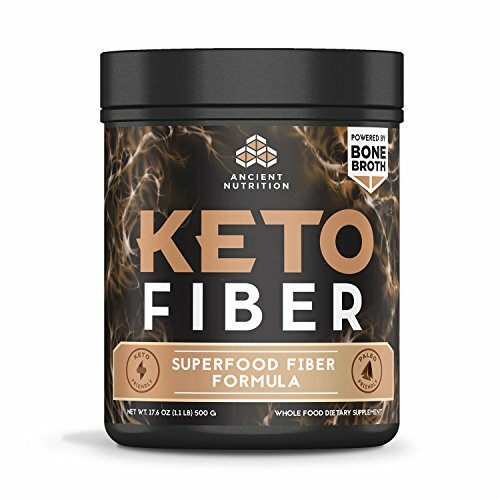 It can be tough to find a fiber supplement that’s friendly for the ketogenic diet based on the carb content in many products, but Ancient Nutrition’s KetoFIBER powder supplement is one of the best around. This product features a powerful combination of high-fiber superfoods that are amazing for the digestive system and overall health, including flax seeds, chia, and cinnamon infused with fermented herbs and MCTs. With a hefty 5g of fiber per serving and a mere 2 net grams of carbs, KetoFIBER makes the ideal high fiber supplement that perfectly suits the ketogenic lifestyle. The KetoFIBER powder can be quickly and easily blended into any drink, including smoothies, shakes, and even milk. You can even incorporate it into any one of your favorite low-carb treats! It will give you a boost of fiber without the carb overload that is typical of other mainstream fiber supplements. It’s easy to stay in ketosis with Ancient Nutrition’s KetoFIBER powder. This supplement is a product of research and testing of the highest-quality fibers out there. Psyllium is a type of soluble fiber that comes from the husk of the seeds of the Plantago ovata plant. It’s highly useful and effective in the diet because it is able to serve as a gentle laxative and act as a bulk-forming agent. This makes bowel movements a lot easier and is why this type of fiber is a great option for anyone who may be having a tough time in the bathroom when following a low-carb diet. Psyllium husk is also highly beneficial for gut flora, and since it soaks up liquid in the gut, it can also regulate the appetite and help you feel fuller for longer. As such, it’s a great addition to any weight loss program. 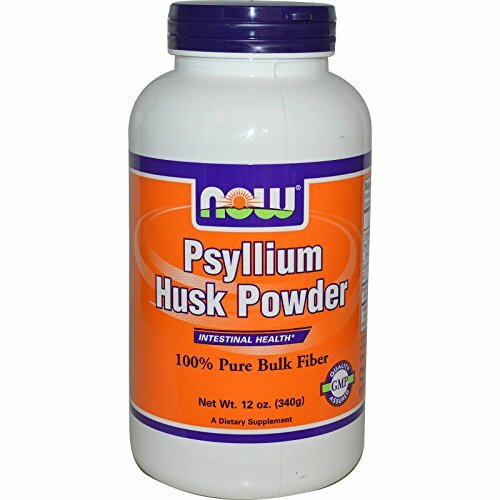 NOW’s psyllium husk powder is a great supplement for anyone following a ketogenic diet because of its low carb level. This company is well-renowned and reputable and always tests its products for quality and purity by in-house technicians using innovative lab testing equipment and tactics. Plus, this particular fiber product comes at an affordable price. The suggested dosage for NOW Psyllium Husk Powder is one tablespoon once per day at mealtime, along with at least one cup of water. You can use this product on its own, or you can even add it to one of your favorite low-carb, keto baking recipes. There are also capsule forms of this product if you prefer not to take it in powder form. Many people who have developed a healthy lifestyle are incorporating flaxseed into their diets because of the wonderful health benefits it provides. Flaxseed is a fiber crop that is becoming increasingly popular because if its incredibly high fiber content. Not only is it high in fiber, flaxseed is also rich in omega-3 fatty acids and other nutrients. With a whopping 27g of fiber in a 100g serving of flaxseed, this supplement makes a great option for those looking to increase their fiber intake. And at only 1.5g of digestible carbs in the same serving size, flaxseed a great option for those who need more fiber in their diets without all the carbs on a ketogenic diet. 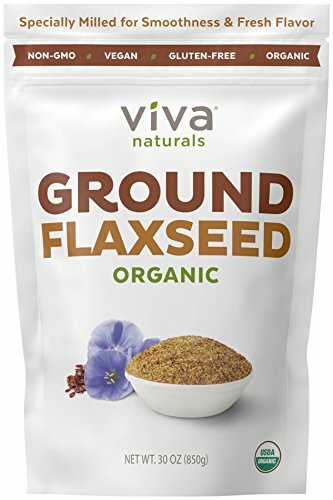 There are plenty of flaxseed products available on the market, but Viva Naturals makes a particularly superior product compared to others. For starters, the company’s ground flaxseed is 100% organic, making it an attractive option for those who wish to keep pesticides at bay while benefiting from healthy nutrients and powerful antioxidants. Viva Naturals employs a sifting system that cuts down on the number of broken or whole seeds to create an ultra refined, fine, and light product that is easy to mix into food and beverages. This process is also responsible for boosting the amount of beneficial nutrients absorbed in the body thanks to the exposure of lignans and nutrients that are trapped in a whole seed. You can add two or three tablespoons to your favorite drink, or add it to your favorite baking recipes. Inulin fiber is a starchy substance that can be found in a number of fruits, vegetables, and herbs. This type of fiber has been associated with several health benefits, and gut bacteria convert inulin as well as other prebiotics into short-chain fatty acids that are beneficial for colon cells. 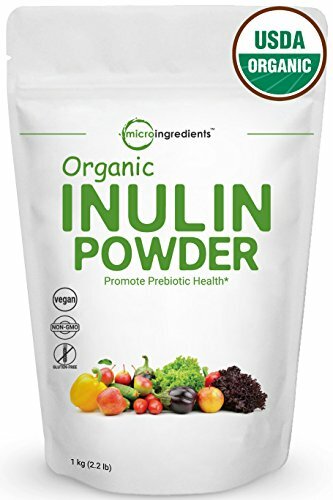 The Pure Inulin Fiber Supplement is a low-glycemic product that is ideal for the ketogenic diet. With each pack you’ll get 100% pure natural chicory root inulin powder, which is easily soluble in your favorite meal shakes. Prebiotics are important to balance good bacteria in the colon and are an extremely beneficial supplement to be added to any diet. This product is a great fiber for anyone, including adults and children. It’s also lab-tested and bottled right here in the US, so you don’t have to worry about getting a sub-par product from a foreign place that may or may not be tested for quality assurance. Further, Carlyle Iulin Fiber is manufactured in an FDA registered and GMP-certified facility. To use this product, mix 1 scoop of powder into a liquid every day for an extra fiber kick. 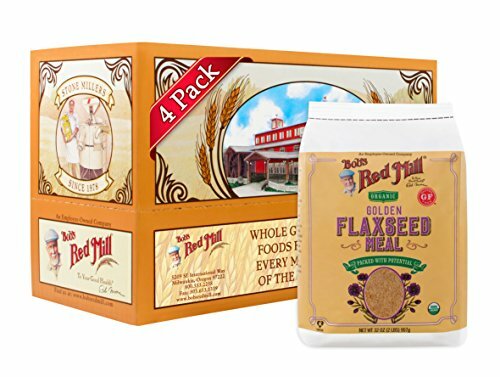 As already mentioned, flaxseed is a fabulous low-carb fiber supplement, and Bob’s Red Mill Raw Whole Golden Flaxseed is a great product to consider adding to your regimen. This particular product contains healthy omega-3 fatty acids, which are super important for heart health and regulating blood pressure. It can be really tough to find no-carb fiber supplements, but there are products that are lower in carbs than others, and this is one of them. At a mere 3g of carbs per serving, Bob’s Red Mill Raw Whole Golden Flaxseed is as low in carbs as you can get which helps to maintain a true ketogenic diet. This fiber supplement can be added to just about any meal you like, such as eggs, salads, yogurt, meat, and smoothies. You can just take a teaspoon of the flaxseed straight up if you can stomach it. That said, grinding up flaxseeds is pretty easy to do with your average kitchen coffee grinder. Must be ground up first if a powdery consistency is desired. You already know how important fiber is to your overall health. You also know that getting fiber from the food you eat can be pretty tough when you’re trying to follow a strict ketogenic diet. Many fiber-rich foods tend to also be high in carbs, which can easily throw you out of ketosis. But by incorporating keto-friendly fiber supplements into your diet, you can have your fiber while maintaining a ketogenic lifestyle.